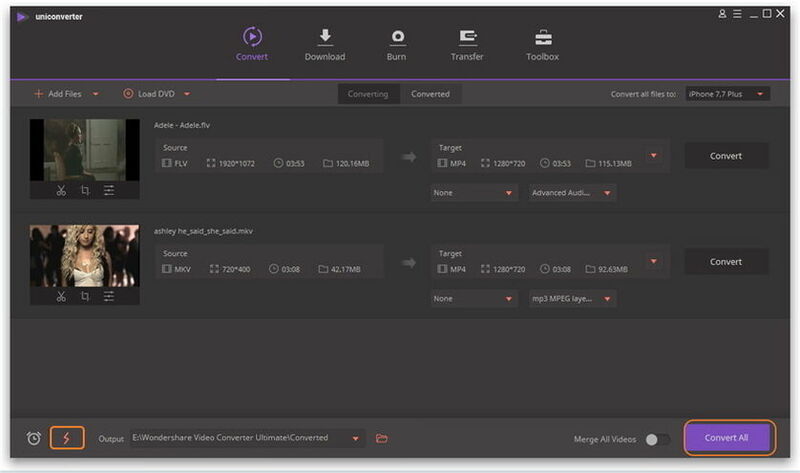 For Apple and Android users, you often worry about the compatibility between your Apple devices and the downloaded/recorded videos. 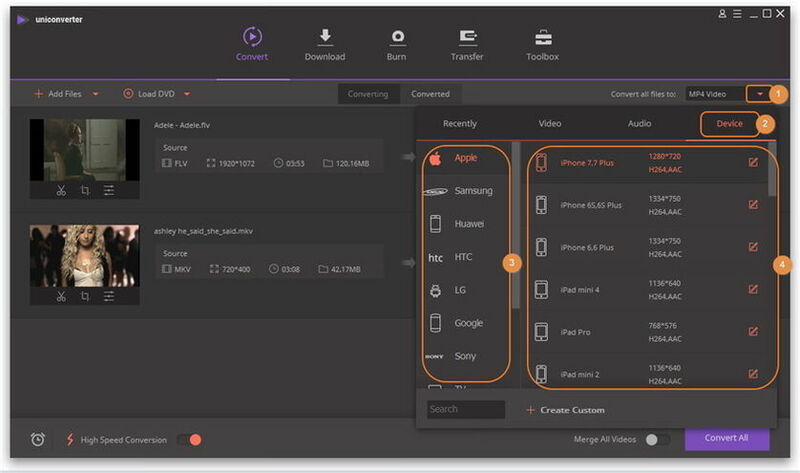 However with Wondershare UniConverter (originally Wondershare Video Converter Ultimate), you can easily make any video compatible with your iPhone/iPad/Android devices. Please follow the steps below to convert any video for your iPhone/iPad/Android Device. 2. Click the Device tab to enter the interface which shows all kinds of output formats for different devices. 3. Choose the device brand like Apple. 4. Choose the model of the brand with default parameters or customized parameters, double-click it. Then, the selected output format will be shown at the right side of the Converting window. 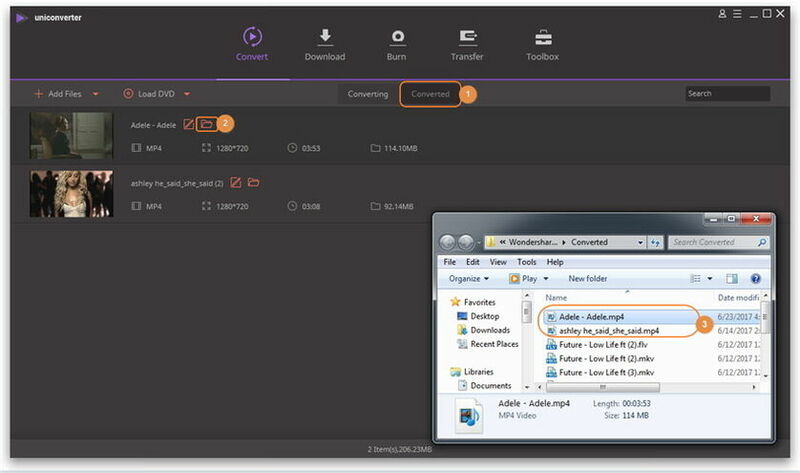 Step 3 Convert the videos to the compatible format for iPhone/iPad/Android Device. 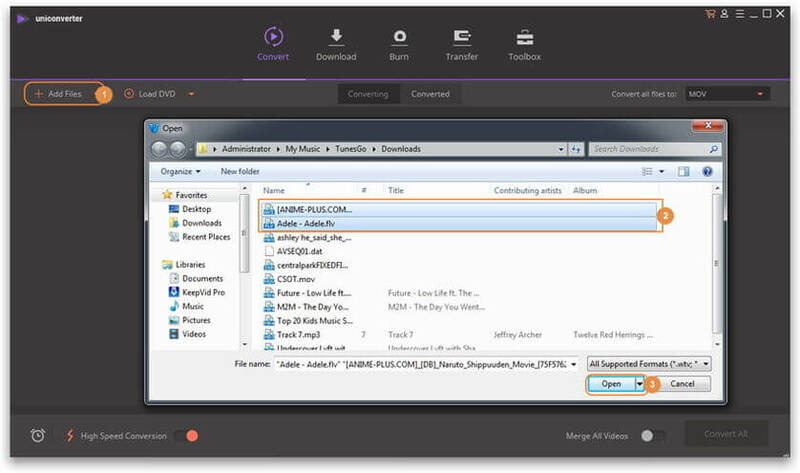 Step 4 Find the converted videos and transfer them to your iPhone/iPad/Android Device. 3. You can transfer the compatible videos to your device directly, please refer to the guide How to transfer videos to iOS devices or How to transfer videos to Android devices.